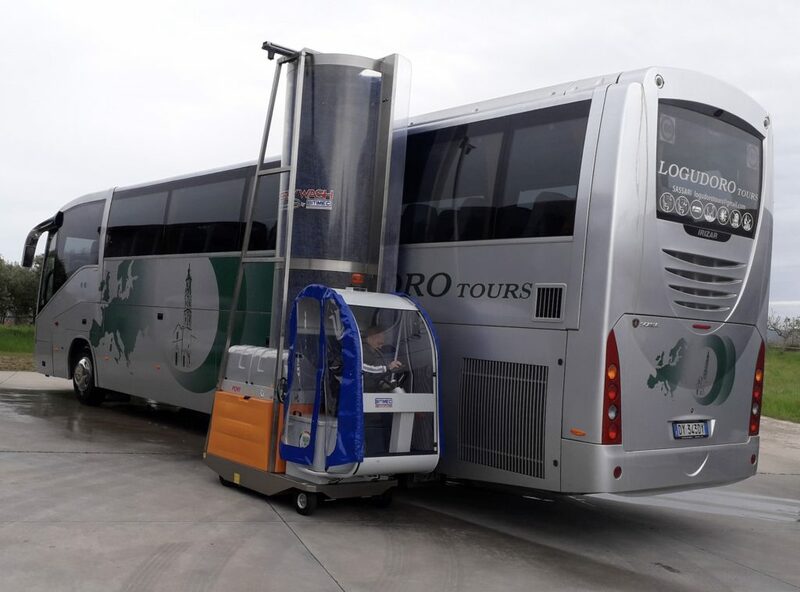 COBUS Shuttle Bus being washed by 626-EZ Washing Machine. 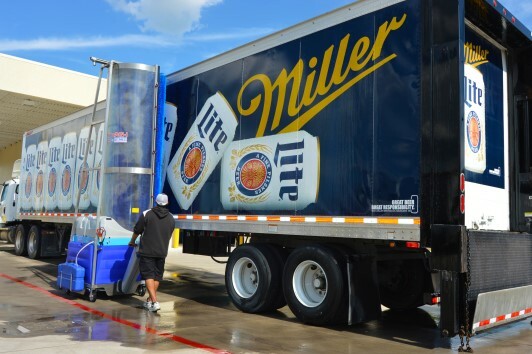 strong wash crew. 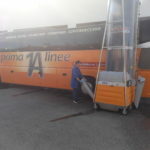 The Bitimec pioneered ‘mega-brush on wheels’ is able to wash a common shuttle bus in 6 minutes. 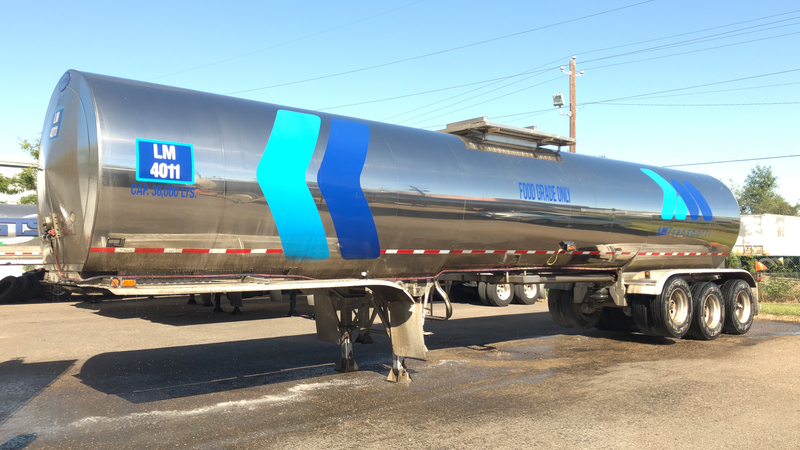 The operator simply guides the feather light systems around a bus, applying soap, power-brush-washing, and rinsing, all at the touch of a button. 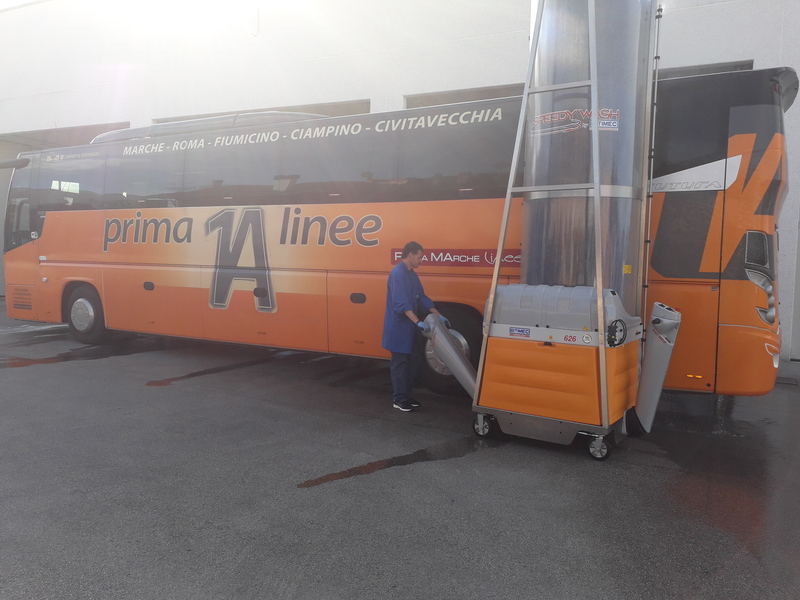 The Bitimec pioneered ‘mega-brush on wheels’ is able to wash a common shuttle bus in 6 minutes. However you look at it; minimum wage labor is expensive! Add benefits and taxes and the ‘minimum’ cost per employee jumps to $20.00 per hour… and even at that price it’s hard to retain people for what is usually the worst job on the premises. So, turnover is as regular as clockwork. Wash-Bots make the job a lot easier and show employees ‘the boss gets it’ by alleviating 80% of the broom wielding monotony. 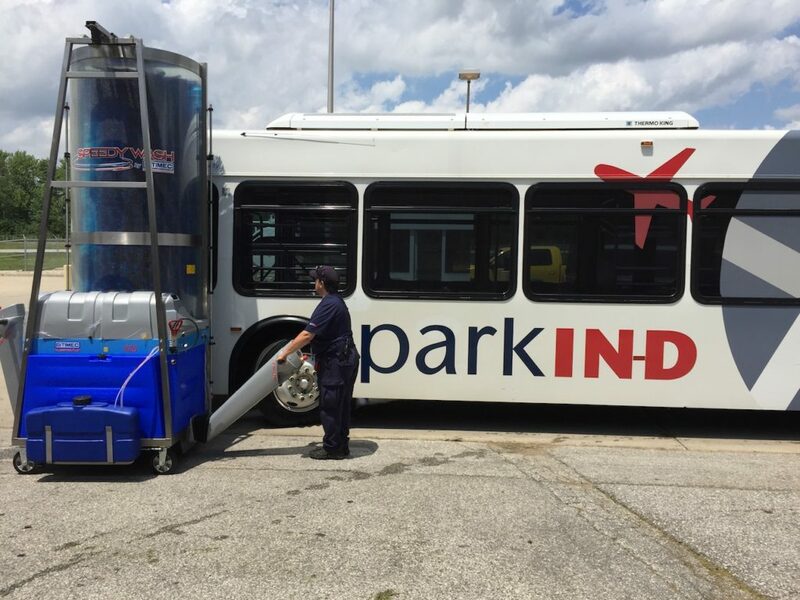 So bus fleet owners win by elevating their worker’s productivity, and saving big time by cutting wash-crew size. Relax! 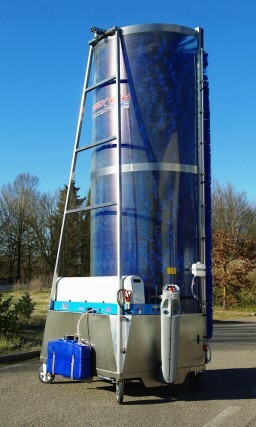 there’s a Wash-Bots model to fit any size fleet and any size budget. The small foot-print machines take up only 15 sq.ft. of floor space, do not need a dedicated building and can be tucked out of the way when not in use. 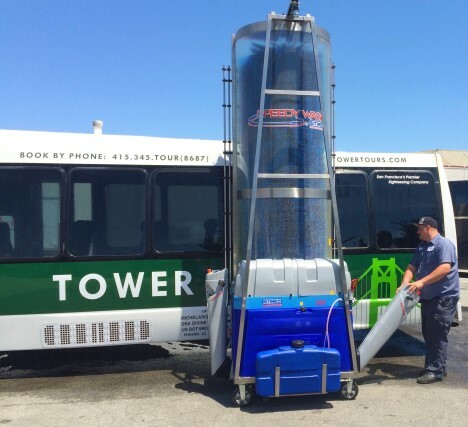 Top class airports such as SeaTac, SFO and Indy were among the first to embrace the technology and today, Wash-Bots are working world-wide, washing airport shuttle buses ranging from Sprinter Vans to Cobuses. 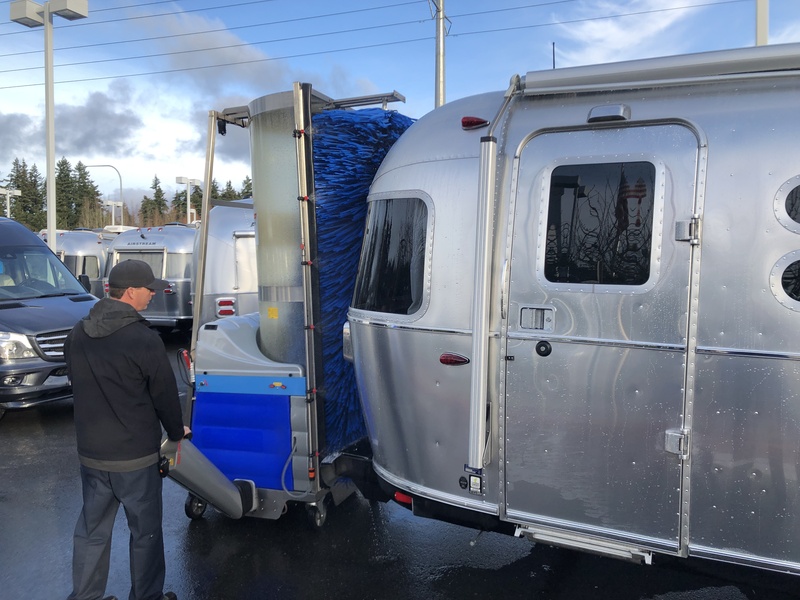 Bitimec Wash-Bots has recently installed 4 of 6 Battery Powered RV Washing Machines ordered by Airstream Adventures Northwest. 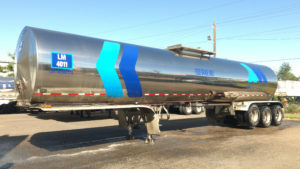 The first four units went to branches in Portland, Idaho, Washington and California. 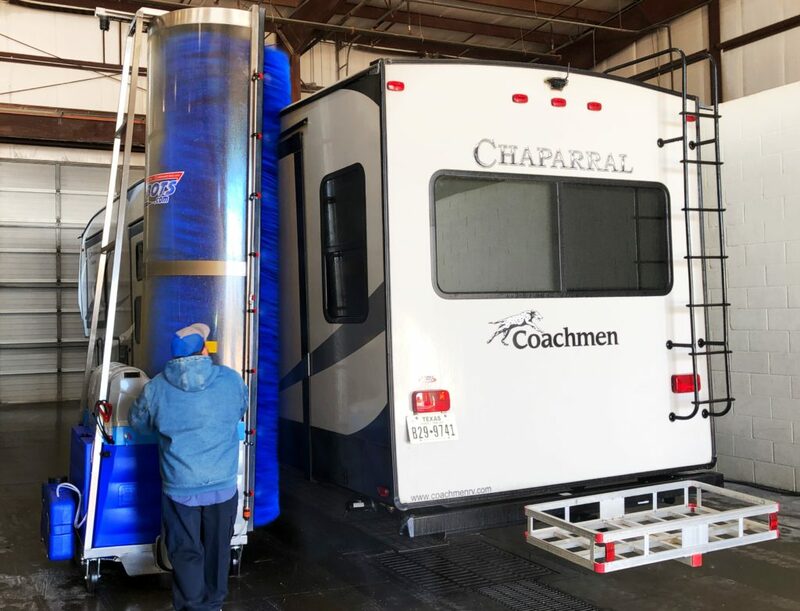 Airstream trailers are the iconic sleek aluminum campers which in the minds of many exemplify, style, nature and spirit. Airstream aficionados often gather country-wide, sporting vintage trailers immaculately kept and passed on from father to son. 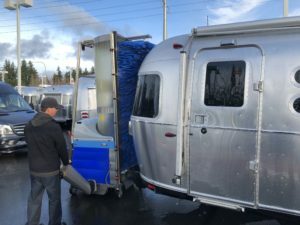 Airstream Adventures Northwest, is one of the few ‘exclusively Airstream’ Meccas around the country, with 5 branches, plus a storage facility. 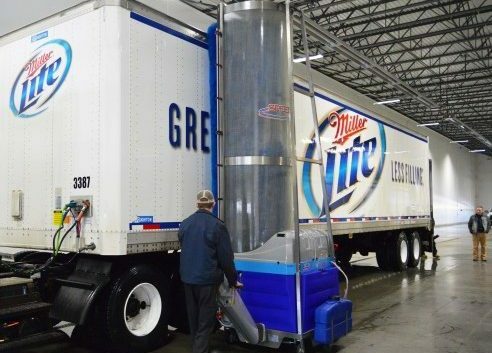 Two more machines will be installed in early February to close the 6 unit order. 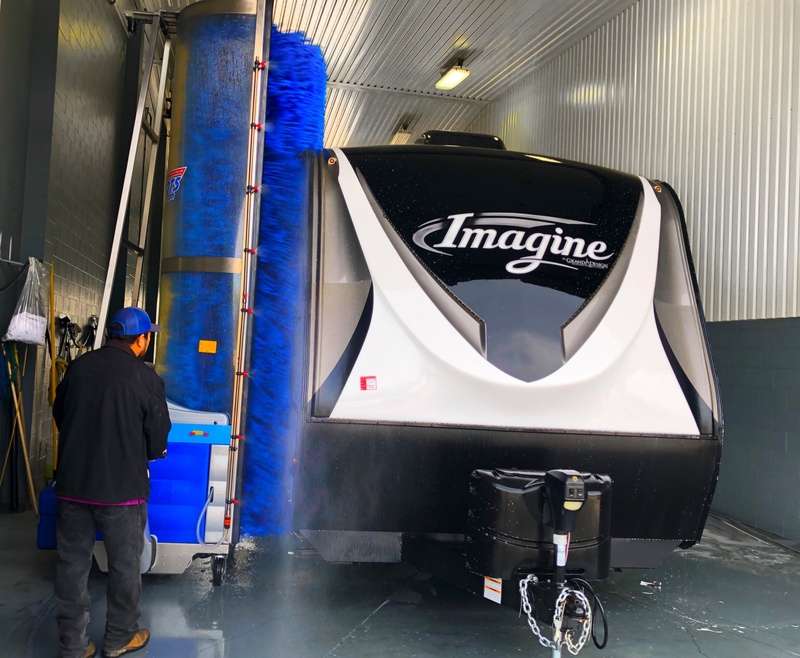 Bitimec’s Wash-Bots have become the ‘go-to’ machines for mechanizing the washing of RVs, vans, buses, coaches trailers and tanker trucks. Minimum wage labor is expensive however you look at it. Add benefits and taxes and the ‘minimum’ pay cost per employee jumps at the very least to $20.00 per hour… and at those costs it’s hard to retain people because washing vehicles is usually the worst job on the premises. So turnover is as regular as clockwork. Wash-Bots make the job a lot easier, alleviating 80% of the broom wielding monotony associated with the job. Show your employees ‘you get it’ not only for elevating their productivity, but also for saving bigtime! For information, please call 203-340-9388 or email info@wash-bots.com.